First, let me say that yes, I am back in Goa. We were only supposed to be back for a quick weekend to see friends, but we quickly became held hostage in Goa by Indian Railways. In the week that we’ve been here, we have attempted to purchase train tickets north from multiple entities in three different towns. 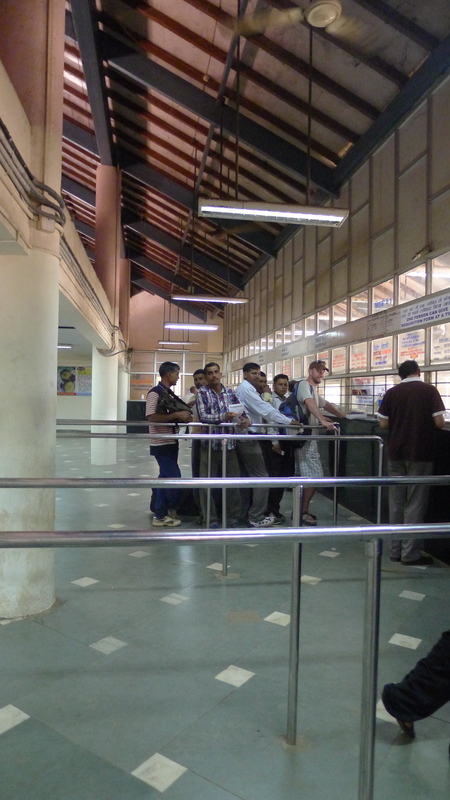 Only today have we finally succeeded (with a 2 hour taxi ride, a hurried Xerox exchange, and much elbowing through the lines at the Margao train station – at one point I actually thought my husband might be trampled alive by the dozen Indian men behind him in the, at that moment closed, “Foreign Tourist” line) to purchase an “emergency” ticket for 2 days from now. Geez. This sunset was unlike any other I have experienced here. It felt like we had suddenly entered a party where we didn’t know anyone and could just be flies on the wall. We had stopped to watch the sunset, but the people watching was so intriguing, I didn’t even notice when the sun went down. 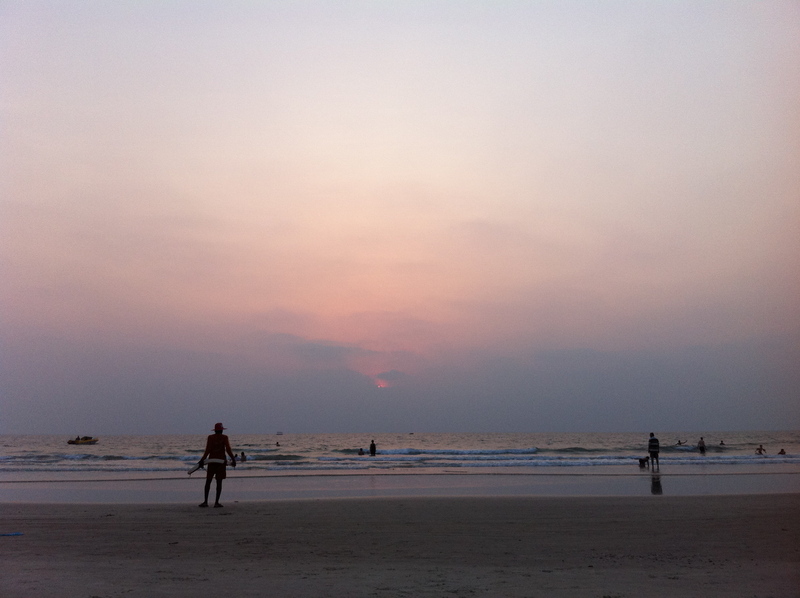 We have one last night in Goa before we head north to Gujarat. I know where I’ll be for sunset tomorrow.